For years, groups of golfers have been traveling to Myrtle Beach on “Buddy” golf packages. Every day we here from golfers who have been enjoying their Myrtle Beach trips golf trips with their friends for decades. Unfortunately their groups are getting smaller as age creeps up on them. The memories that they have of their “Buddy” trips is something that stays with them forever. They would so love to experience all of the fun that they had one more time, but their memories live on. Don’t you think it is time to build some Myrtle Beach memories of your own? When you are remembering your life, you don’t want to be the one that remembers playing video games and spending hours on Facebook. You get one crack at this life and the memories you build will help you through your golden years. Myrtle Beach and the Grand Strand has so much to offer you and your “Buddies”. There are nearly 100 beautiful golf courses to choose from and Myrtle Beach Golf Authority can design a special package that fits you group. From beginners to low handicappers, Myrtle Beach has it all. A couple of courses that you are sure to enjoy are Sandpiper Bay, Beachwood Golf Club, Eagle Nest, Crow Creek, Rivers Edge and The Thistle. The list is endless. Of course the memories that you will build will include outstanding accommodations. We feature the widest variety on the beach from ocean front condos with scenic views to huge houses that can feature game rooms, swimming pools and hot tubs. After your day on the course you can take advantage of the nearly 1600 restaurants that feature nearly any kind of fare that you are looking for. The world class entertainment that is offered on the Grand Strand is the best that you can find on the east coast. The Atlantic Ocean, beautiful scenery, outstanding golf courses, dining and entertainment, we have everything to make sure you and your “Buddies” have the time of a lifetime!! WARNING! 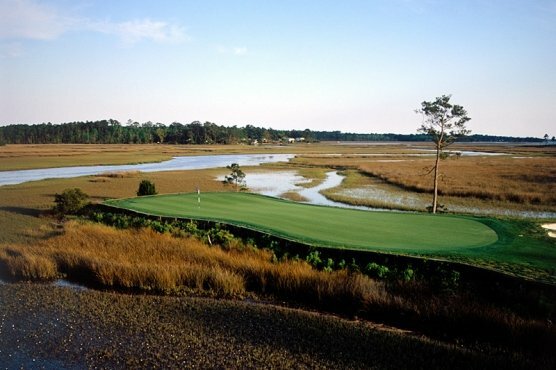 Once you make the choice to visit Myrtle Beach on your golf “Buddies” trip, you will not be able to stop. The memories will last you forever!